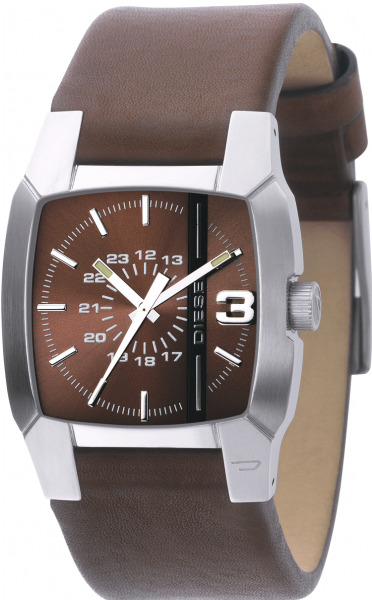 Arrive on time with this edgy watch from Diesel. It features a stainless steel case and a brown dial that is accented with a black stripe and an oversized number at the 3-hour mark. 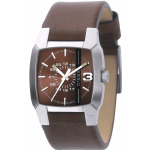 The brown genuine leather strap is molded to fit perfectly flush to the case.